Anne Louise Brand, CPA - Rosenfield & Co.
Anne Louise is graduate of the University of Central Florida at the College of Business Administration and the Rosen College of Hospitality Management. She is holds a degree in Accounting and Hospitality Management. She started with Rosenfield and Company’s internship program in Orlando, Florida in 2015 and is now a full time Attestation Team Member in the firm’s New York office. She has extensive experience in SEC and was part of the team that successfully completed the largest Reg A filing in history. She has a strong international background with a history of traveling and living in multiple countries. She has maintained residence and attended school in the Netherlands, Great Britain and the United States. She is accustomed to change in her environment and it has shown in her flexibility in being the firm’s first inter office transfer to their New York City office. 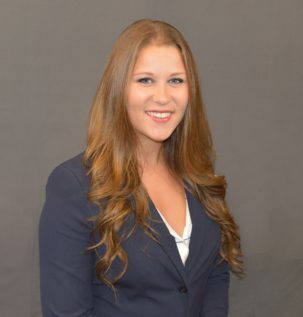 When Anne Louise is not hard at work for Rosenfield and Company she dedicates her time to cooking, traveling the globe and to her service to organizations such as Kappa Alpha Theta Sorority where she previously served as Chief Marketing Officer and the executive board of the UCF Panhellenic Council.